This is to inform all students of Covenant University that the management has published the 2018/2019 Academic Session Calendar, all students can now view the calendar below as released by the management. Covenant University Academic Calendar 2018/2019. 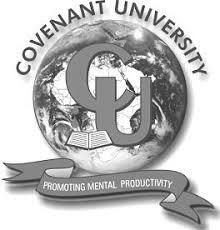 Covenant University Post UTME/Admission Screening Exercise -2018/2019 Academic session. UNIBEN JUPEB Entrance Exam Date 2018/2019| Announced!